Hiring a specialist to come in and do all the minor fixes in your home can be expensive, which is why many people are beginning to do their own DIY. This can be a great way to save money, especially if it is done correctly. It is also important that you have the right tools for each task. Claw Hammer – This is the most common and versatile type of hammer. Not only can you use it to hammer in nails, but you can also claw them out again. Adjustable Wrench – This tool is suited to a whole host of tasks and can be adjusted to fit nuts and bolts of multiple sizes. Combination Pliers – These can be used as a gripping tool to hold, turn or pull out different types of nails. Torch – A torch is useful in any household, whether you are doing your own DIY or not. Screwdrivers – You can either buy a multi-head screwdriver or a set of different screwdrivers. A multi-headed is a great space saver as you simply attach the screwdriver head that you need. Utility Knife – This tool can be useful when cutting up carpet or when you need to cut a precise line. Tape Measure – When you are measuring it is important to have the right measuring tool. A tape measure will allow you to accurately measure items and also keep the measurement in place. Spirit Level – This tool is an essential, especially if you are hanging up pictures and shelves. You want to make sure that everything is level when you put them up. Tape – Masking tape, Teflon (plumbers) and electrical tapes are the three essential tapes to have. Teflon tape is used on threaded plumbing connections to avoid leaks. Electrical tape is an insulating tape, which is used in many electrical tasks. Masking tape can be used to stop paint getting on certain areas i.e. skirting boards, plug sockets etc. Safety equipment – Dust masks, safety goggles and gloves are all essentials to protect you from DIY tasks. Bucket – You will need something to mix plaster and other mixtures in. Stepladders – Not everyone is tall enough to reach the ceiling, which is when a stepladder comes in handy. Extension Lead – You will be able to have a power supply to all or parts of a room. Portable Workbench – It is important to have a stable, flat surface to saw on, this is where a portable workbench comes in handy. Drill – A drill may not fit in your average sized toolbox, but it is a useful tool to have, especially if you are thinking of hanging items up on the wall. 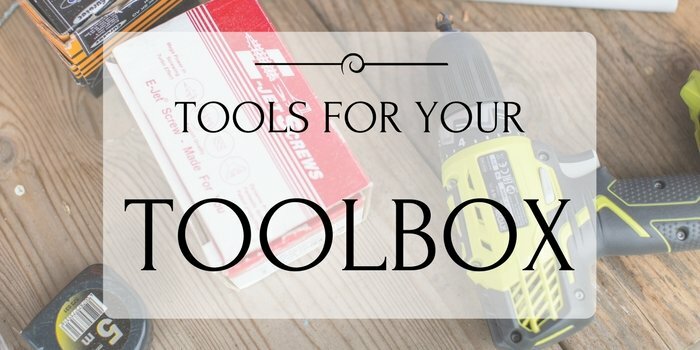 Whether you are doing a small piece of DIY or redecorating an entire room, these tools are what you’ll need to get the job done. If you are redecorating a room, then putting items into storage will give you the space to move around freely.